The Central Industrial Security Force released recruitment notification for 429 head constable posts. 12th pass are eligible. 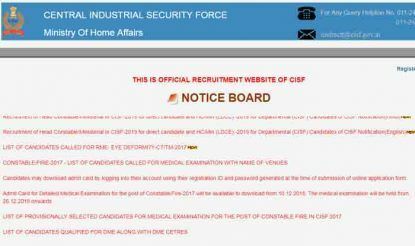 CISF Recruitment 2019: The Central Industrial Security Force has released notification for the recruitment of 429 head constable. Interested and eligible candidate can apply for the same.